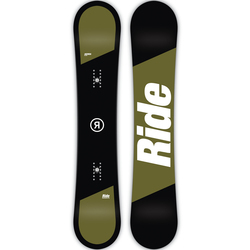 Ride makes only the best when it comes to sporty snowboards, boots, bindings, clothing and accessories. 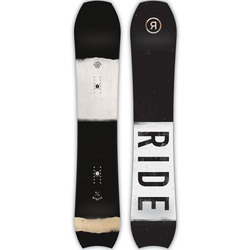 Founded in Redmond, Washington in 1992, the company started with a vision of becoming a snowboard company “for the people”. Currently located in Seattle, Washington, Ride continues to produce innovative, high quality gear that the people love. 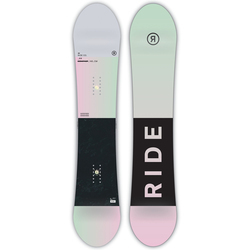 Most of Ride’s customers are somewhat serious male boarders between the ages of 18-24, although the brand makes outstanding gear for both genders and all ages. The brand makes some of the lightest weight performance boots with the shortest lengths available on the market today. Ride boots feature several very innovative design features, such as Body Active Intuition Liners, Intuition™ Plush Foam Liner Technology and Lock Down™ liner lacing. 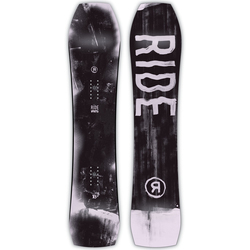 Ride makes technical gear designed to meet the needs of boarders with different skill levels. 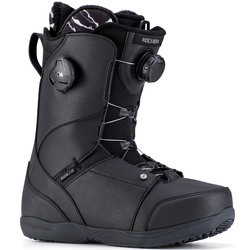 Intermediate riders love the Jackson Boa Coiler Boot. The boots have internal and external J Bars, Ride’s Closer Lace Guide for complete boot closure, and comfortable Intuition™ Support Foam Liner. 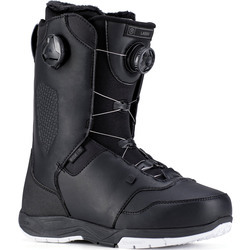 These boots give the wearer solid control and serious comfort in a range of riding conditions. 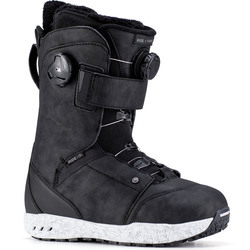 Intermediate and advancing riders alike love the Ride Anthem Boa Snowboard Boots. 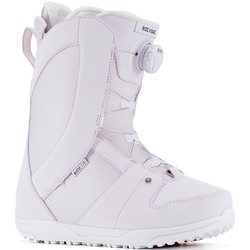 These boots also have comfortable Intuition™ Support Foam and Ride’s Closer Lace Guide. They are relatively flexible and have soles with outstanding grip. They are also relatively lightweight and shorter than in length than standard boots, meaning that you have more control and less bulk. 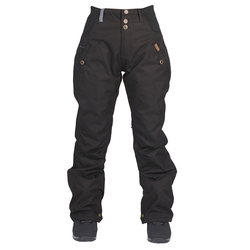 Ride also makes outstanding high-performance clothing for boarders. 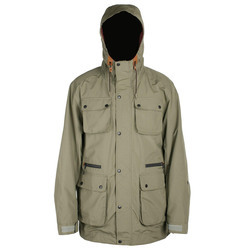 Its jackets, such as the Newport Jacket and Rainier Jacket are made from waterproof, yet breathable materials to keep you protected and at a comfortable temperature. 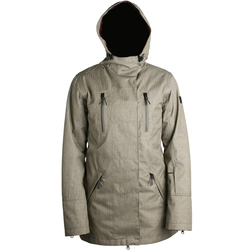 Ride jackets have all of the necessary details to provide total comfort and protection, such as critically taped seams and a removable hood on the Ride Ballard Jacket and cozy flannel lining and adjustable cuffs on the Rainier Jacket. Some ride items, including the Ride Ballard Jacket, have a classic fit and classic solid coloring for a simple and stylish look. 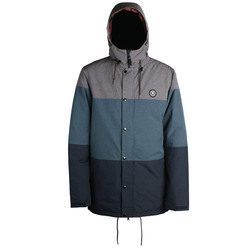 Others, such as the Ride Georgetown Jacket and the Ride Westlake Snowboard Pants, feature more eye-catching colors and fabric patterns. 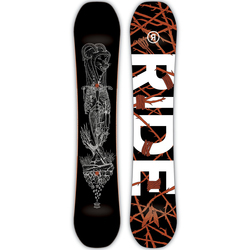 Ride recognizes that boarders need snow and healthy mountains. The brand takes its environmental responsibility seriously by producing as little waste as possible. When possible, Ride uses recycled materials. For example, they use paper that is at least 30% recycled, make boot backing from 30% recycled materials and make 50% recycled base plates and heel cups. To further improve environmental friendliness, the brand uses minimal packaging and as many recyclable materials as possible. 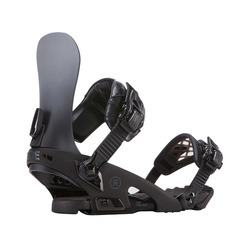 For example, Ride’s shrink-wrap and binding base plates and heel cups are fully recyclable. This brand not only makes some of the best snowboard gear available, it also makes gear that you can feel great about buying.